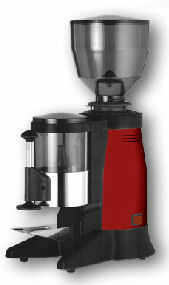 MITO SILENT it is born with the finality to satisfy the clients that desire an abundant production of ground and the maximum silence. 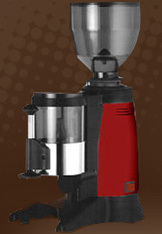 The coffee grinder dispenser is built with component antivibrations that isolates the engine and the grinding's room. The silence so gotten it is such that during the use there is an absolute respect of the environment. JUNIOR is conceived with the purpose to satisty the demands of who disire a professional quality with a limited space to disposition. 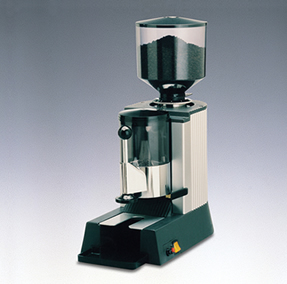 The small dimensions make it also perfedt as second grinder for the decaffeinated coffee or as a stock. Body plastic in material plastis autoextinguishing. Twin cutting stainless steel blades diameter 50mm. 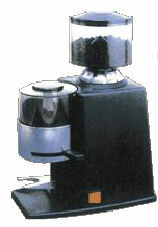 Aluminium dispenser with possibility to graduate the quantity.